Creating Change is not something that has to take forever. 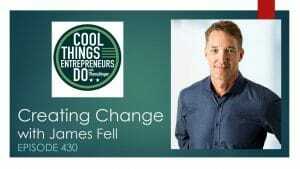 James Fell knows it is possible to have that moment when you decide everything will be different. Why wait? James Fell, MA, MBA, has bylines in the Los Angeles Times, Chicago Tribune, the Guardian, TIME Magazine, and many other publications. His blog, BodyForWife.com, has millions of readers and he is the author of two books: The Holy Sh!t Moment: How Lasting Change Can Happen in an Instant (St. Martin’s Press, 2019), and Lose it Right: A Brutally Honest 3-Stage Program to Help You Get Fit and Lose Weight Without Losing Your Mind (Random House Canada, 2014). 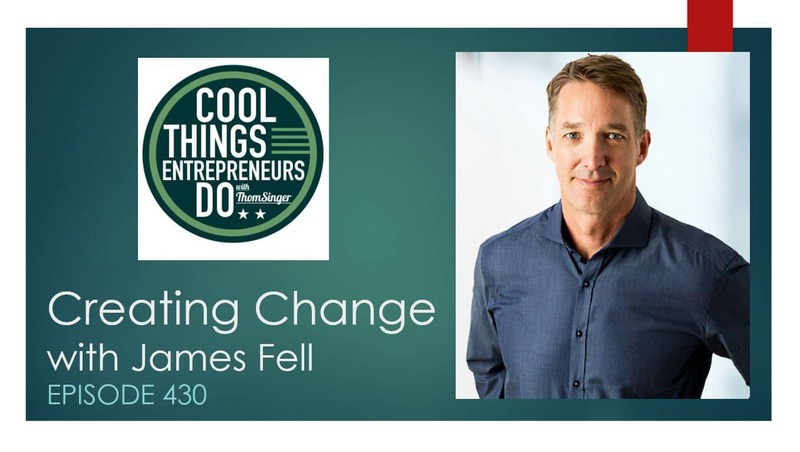 Check out episode 430 of “Cool Things Entrepreneurs Do” to hear James Fell share how to create change. Thom Singer is the host of the entrepreneur podcast, “Cool Things Entrepreneurs Do”. He is a funny motivational speaker and the author of 12 books.